Chatham Conservation Foundation, 1964. Trade Paperback. Very Good. Norman, Marcia Gaylord. Books shows light shelf wear only with light edge wear and slightly curled corners; text/interior is clean and unmarked in any way. No creasing to covers or spine. 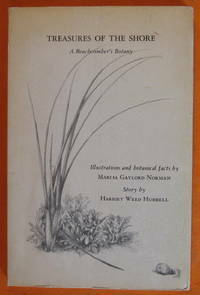 A book of Cape Cod shore plants with a great many large b&w illustrations, a story line of their discovery, and a large index. Plants include seaweeds, lichens, shrubs, grasses along with instructions for creating a herbarium.